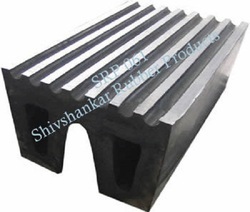 Leading Manufacturer of dock bumper, rubber dock bumper, flat dock bumper, d type rubber bumper, rectangular fender and rubber srp dock bumper from Mumbai. 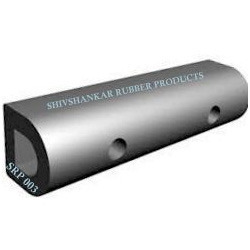 Leading Manufacturer of d type rubber bumper, loading dock bumpers, marine rubber bumper, rocket dock bumpers, rubber dock bumper and w type marine dock rubber fenders from Mumbai. Eliminate costly and unsightly damage to equipment, vehicles and structures. 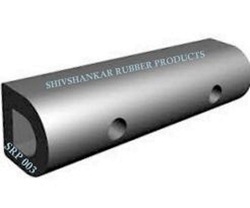 SHIVSHANKAR RUBBER PRODUCTS Dock Bumper are appropriate for indoor and outdoor protection and contain the correct amount of resilience to absorb pressure and impact shock. Optimally suited for marinas, loading docks, parking garages, vessel protection and on vehicles, such as tow-trucks, trailers and heavy duty construction equipment. Rubber Dock Bumpers are made to order and can be manufactured in weather resistant EPDM or other materials such as SBR, Neoprene, and Natural Rubber in hardness from 40 to 90 Shore A durometer. 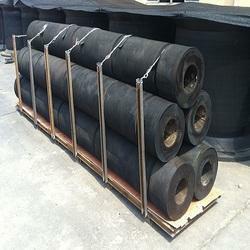 SRP Rubber Dock Bumpers can be manufactured in lengths up to 15 feet. Bumpers can be manufactured in most colors and may be formulated to match custom colors for your application. Non-marking bumper materials are available. Easy installation and minimal maintenence. As a custom rubber manufacturer, SRP is equipped provide material and shapes to meet your special requirements and specifications. Eliminate costly and unsightly damage to equipment, vehicles and structures. Rubber Dock Bumper are appropriate for indoor and outdoor protection and contain the correct amount of resilience to absorb pressure and impact shock. Optimally suited for marinas, loading docks, parking garages, vessel protection and on vehicles, such as tow-trucks, trailers and heavy duty construction equipment. Rubber Dock Bumpers are made to order and can be manufactured in weather resistant EPDM or other materials such as SBR, Neoprene, and Natural Rubber in hardness from 40 to 90 Shore A durometer. 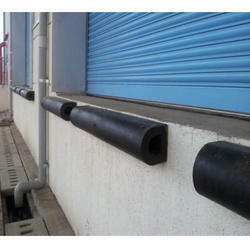 SRP Rubber Dock Bumpers can be manufactured in lengths up to 15 feet. Bumpers can be manufactured in most colors and may be formulated to match custom colors for your application. Non-marking bumper materials are available. Easy installation and minimal intermittence. As a custom rubber manufacturer, SRP is equipped provide material and shapes to meet your special requirements and specifications. Rectangular Flat Dock Bumper used for warehousing to protect wall. Rubber Wall Guard offeredcan be made available by us in different color options and feature embedded high light yellow reflective material that helps in catching attention of the drivers in day or night. Further, the use of quality rubber material also supports providing suitable protection to vehicle and construction. Some of its features include allows for easy and convenient installation support; durable construction finish; suitable for use in industrial and commercial applications; provides maximum protection in storage space; meet the working demands in parking garages and loading docks; allows for vertical/horizontal mounting support. 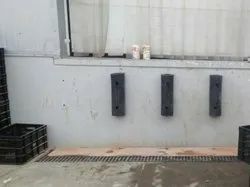 wall guards to protect the pillars /columns which is round shape and avoid to severe rubbing and brushing of wall at sharp turning point and inside the garages and parking basements. it is made of natural & synthetic virgin rubber blend. It comes in black colour.